My daughter Jen hadn’t been feeling well so I took her to school a little late that day. She had just started 2nd grade in our quiet little New Jersey town. I got home a little before 9:00am and as I walked in the phone was ringing. My friend said, “Lisa, what tower is Teddy in?” I answered, “The one with the antennae on it, why?” She said, “Well a plane just hit it and took off the top 15 floors.” She didn’t ask me what floor he was on. In the seconds that it took for me to run to the television and turn it on, in my mind, Ted was dead on the ground. His office was on the 105th floor, 2 stories from the top. 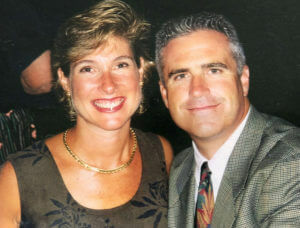 Standing in front of the television, holding my 4-year-old son Billy’s hand in mine with my 4-month-old Timmy on my shoulder, together we saw the horrific scene: the gaping hole, the raging fire and the black, billowing smoke pouring out and engulfing the upper floors of the North Tower, but the building was still intact. I had a moment of hope; maybe he could get to the roof! It was then that we saw the second plane hit the other tower and I knew we were in trouble. By 11:00, my house was filled with people and both towers had fallen. Everyone was spinning in circles, wringing their hands, desperate in their shock and their fear. I felt their pain but could also feel their love. As I looked around, I could see how much people were hurting. They kept asking me what it was I needed, what they could do to help me. In a crisis, most humans feel a need to be productive in order to soothe themselves. We must DO something. This natural need was intensified 100-fold with the trauma of 9/11. But there was really nothing anyone could do for himself, herself, or me. I am strong and generous by nature. I am also a highly organized Virgo with an Alpha personality, a healthy dose of perfectionism, and a controlling nature. In a crisis, it’s me who will take care of you. I didn’t want people’s help. In my mind I was fine. I was capable. I could handle it. B ut the unprecedented magnitude and enormous shock of 9/11 was very different. I can only describe the feeling as being “blown wide open.” It was then, in that moment of surreal, heightened awareness that an intuitive knowing set in. A voice of certain truth inside my head said, Lisa, let them help you. In that moment of surrender I walked through a metaphoric door and was immediately flooded with the gifts of humility, gratitude, and Grace and the most remarkable feeling of love that has been with me ever since. This was my first experience of the “Godness” of 9/11 and a profound intuitive knowing, an intuitive guidance that became my trusted light. I would faithfully follow that guiding light through the weeks, months, and years that followed 9/11. 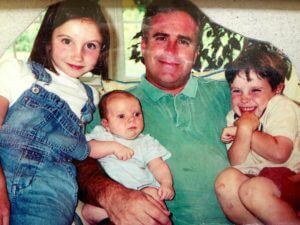 I can tell you now that it is because of the remarkable and unprecedented volume of love, and the fact that we have never been forgotten, that my children and I have been held, sustained, and kept buoyant as we’ve healed. We have received the best of everyone; we still get it to this day. I’ve always said that if we would treat each other the way 9/11 families are treated we would live in a far kinder and gentler world. What I mean by that is we are always given that extra pause or moment of consideration before we are judged because people know our story. As those first days passed, as much as my heart hurt and as worried as I was, a new sense of strength began to build inside me. Pain and fear became my fuel for action. I felt a power, a determination unlike anything I had ever known before. I had become a warrior. Not in an angry, vengeful way, but a warrior of love. I felt a fierce love and a profound, positive strength. I was a mother who would protect and care for her children and navigate my broken little family through this maelstrom. We would be okay. Every cell of my being told me it was right. I began to trust myself instead of looking to others for answers. Without realizing it then, I was setting the single greatest intention of my life. My mission became to create something good from the nightmare of Teddy’s death. Wanting to use all that I had experienced to help others live more peaceful and meaningful lives, I founded Cozmeena Enlightened Living. Cozmeena is a lifestyle brand and social movement based on the foundational elements of warmth, comfort care, consideration, grace and decency. 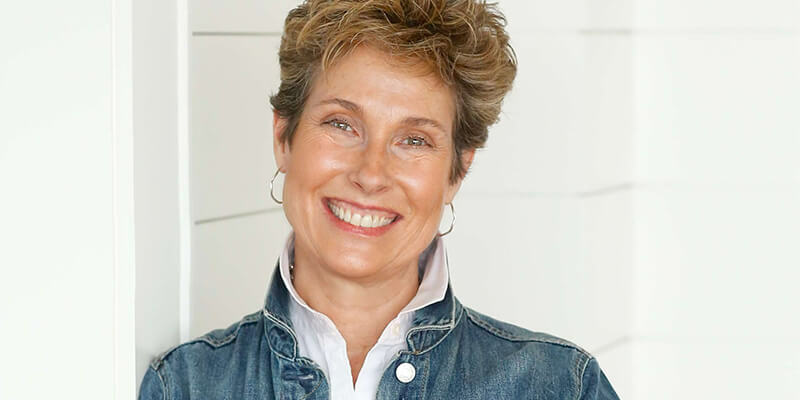 It is about finding comfort through your five senses, using your sixth sense to navigate life, and connecting with like-minded, purpose-driven people. It is where intuitive knowledge, life experience, and the wisdom from our ‘knowing’ heart help to guide us toward a happier, more balanced, and satisfying life. Cozmeena Enlightened Living offers tactical ways to help people live calmer, more peaceful, and meaningful lives. Whether its knitting a Cozmeena Shawl, utilizing the vetted list of internet resources when dealing with a cancer diagnosis, reading the stories of life-experience and inspiration that became the foundation of the Cozmeena philosophy, receiving or giving a Pocket Heart for luck and love, or making recipes for yummy, healthy comfort food that will warm and sooth you from the inside out, Cozmeena Enlightened Living is a light-hearted, pragmatic port in the storm. 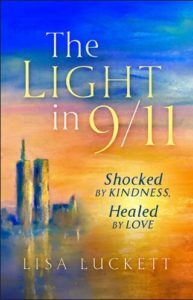 In August 2018, my book The Light in 9/11: Shocked by Kindness, Healed by Love was published. 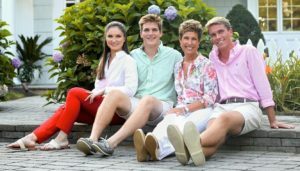 The book is the story of the incredible love, support, thoughtfulness, and care that flanked my kids and I in the wake of 9/11. It is a testament to the magnanimous resilience of the human spirit, the kindness and care that is inherent within each of us especially in a crisis.